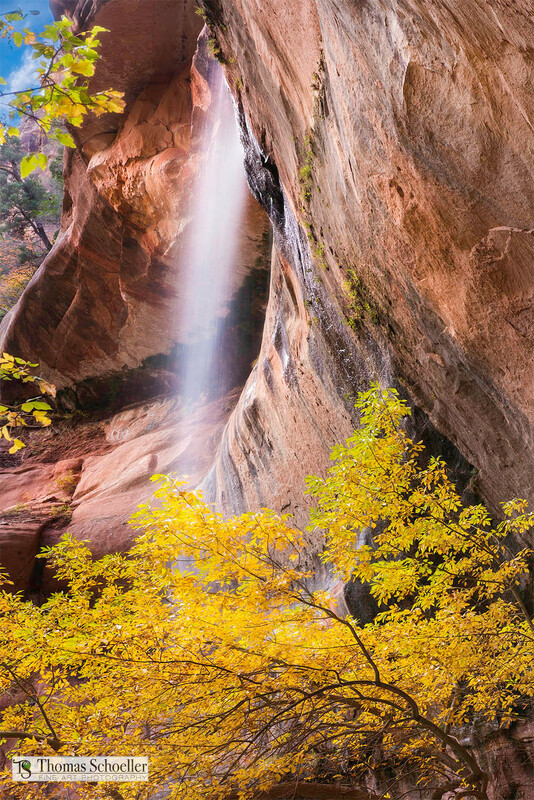 A slender ribbon of water cascades over red desert sandstone at Zion's Emerald Pool trail. The waterfalls begin their descent from Heaps Canyon, eventually creating the lovely middle Emerald Pools. The water level rises and finds it's way over a horseshoe shaped terrace as misty cascades, captured here in this piece called "Desert Mist".